I sure enjoy an entire weekend focused on quilting! 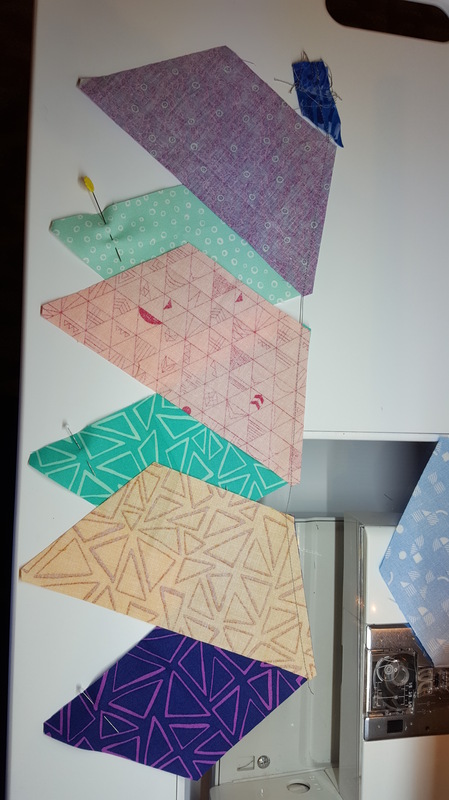 It is easy for me to get sidetracked when sewing at home. I had a very productive weekend on the Cape. 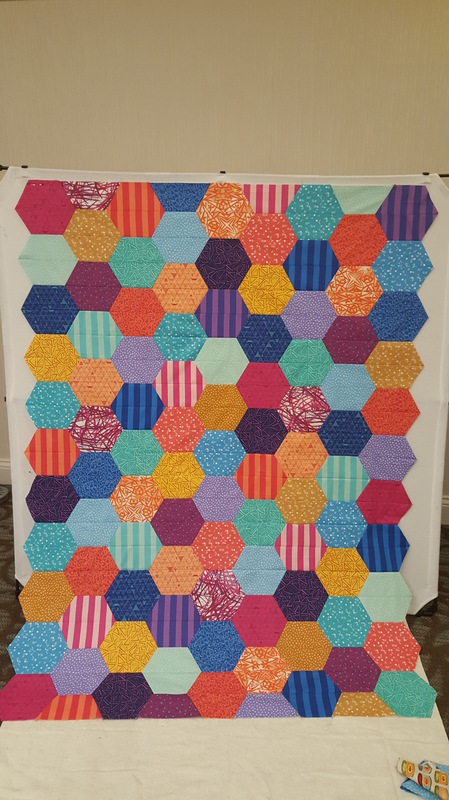 Same as my last getaway, I was working on “Hex-a-ma-jig” Hexie quilts. Two more completed! 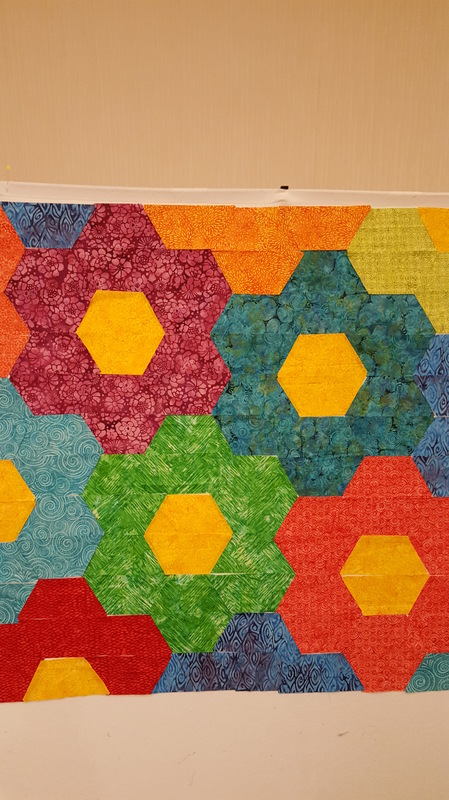 A Mixed Flower Garden with all flowers touching and Half Hexies made into full hexies with no “Y” (set-in seams). 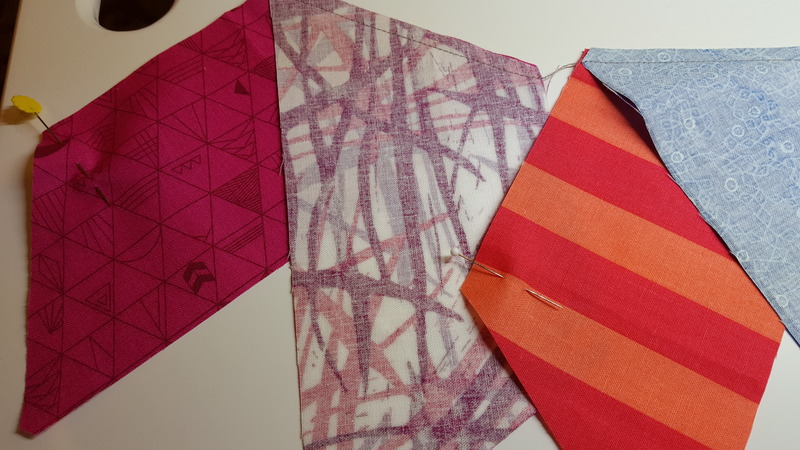 In piecing these two quilts, the half hexies are sewn in rows across the quilt. To speed up the process, I pick up one row at a time. In order to keep the pieces IN ORDER, I pick up the top piece and put a pin in the top left corner. Stitch 1/4″ seam. Then the next two, continuing to put a pin in the top left corner. Once the row is stitched, I take the row out of the machine and lay it out. It is in the order sewn with my “leader” (starter fabric) at the beginning of the line of stitched pieces. “leader”(starter fabric) left on first sewn seam. 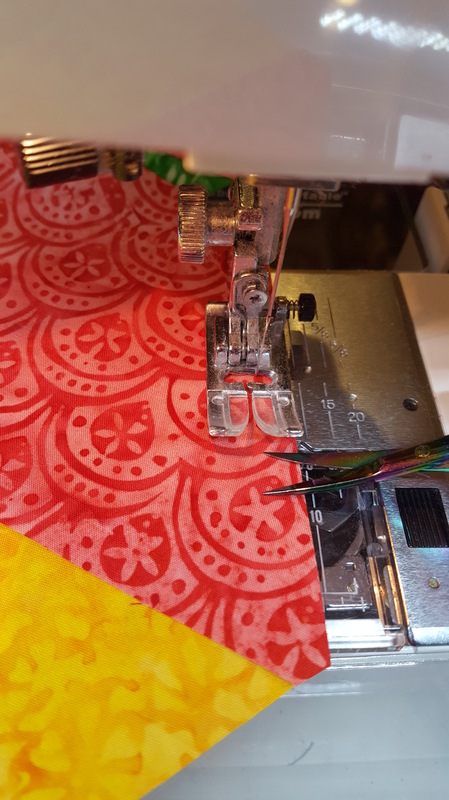 I cut between my stitching line, from the left (beginning) one section at a time and sew the next section in the line to the previous. Again, leaving the pin in the farthest left piece. Repeat until the entire row is sewn. Pins in the top left corner to keep order. This helps speed up the piecing process and I don’t get the pieces in reverse order. #1 – Leave “leader” in stitched row to help remember the order. And place pin in the top left piece. I left my stiletto at home so I used my curved snips as my “pusher”. It worked great! The two points stay separated until you squeeze to cut. Perfect to hold fabric in place. #2 – Snips work great in place of a stiletto! This entry was posted in Hexagons, Tips, Uncategorized. Bookmark the permalink.